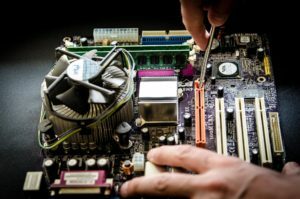 Are you looking for IT repair Perth? Well, look no more and keep reading! Is your computer not working the way it used to work the first time you purchased it? Are you seeing never-ending bugs and viruses all over? Are you sick with all the lag and slow-downs when using your computer? These are the most frequently complain problems that people have for their devices. Worry no more and entrust your problems to us. Our expert IT technicians will fix hardware and software problems and return it to you good as new! We are the number 1 choice for IT Repair Perth! IT-related devices and tools are on trend in the market since the 19th century. They have recognised from being only used in military and government operations. Until became an integral part of an ordinary person’s life. In this digital age, people are so enthusiast to gadgets. Having one of them hold to be a necessity. Personal computers, laptops, smartphones, tablets, Macs and the like play an essential part in the world of entertainment. It traverses into the world of lifestyle and unsurprisingly, in business. Additionally, they portray a significant part in businesses nowadays and in the future. A fully functional device is a requirement for any business or organisation that profit after all the productivity and competency amongst other competitors. It is for this reason that you must choose a knowledgeable and reliable company that offers outstanding quality service and excellence in IT repair Perth. There isn’t any IT-related problem that our team can’t resolve. In fact, any problem that needs repair and management are a walk-in-the-park for us. Whether it be in hardware, software, system, network, malware, viruses, etc. We guarantee your 100% satisfaction. Our IT experts are always up-to-date with the latest technology and innovations. They are also particular with the latest digital devices from a wide selection of device manufacturers. We can also work with not only one or two units at a time, but as many products as you can send. Our experts are not just credited and exceptional technicians in this field. They are also experienced, dedicated and passionate workers and can give you a fast, effective and top-tier output. Our IT repair Perth can offer you two options: the on-site repair or the remote repair. We can give you the best service that works for you, minus the hassle and stress. If you need the fastest and highest quality IT repair Perth for your device’s issues, call us without further ado. Whether it be hardware, software, system, network, virus, malware and other issues that are giving you a headache. Let’s fix it up and get your device up and running! This entry was posted in Aleph IT Services and tagged it repair, it services and computer repair.